Many amongst us have grown up watching Hollywood movies and TV series (Friends anyone!?) and are left in awe of the fabulous way of life in America. At some point in our lives, we all have dreamt of those sandy beaches of California or those tall buildings of New York. 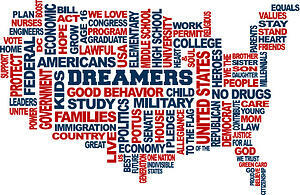 This fundamental idea of an American dream in itself is the biggest advocate for America! But only if it was that easy. For hardworking Indians, being successful in the United States is not difficult, it is reaching the United States that presents bigger obstacles. The USA is an economic powerhouse with a diversified economy. 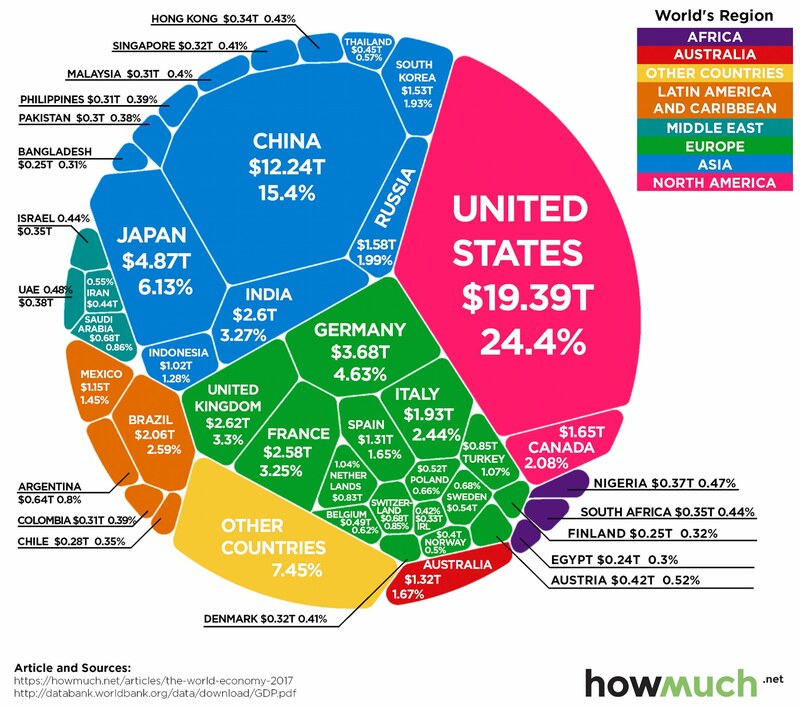 The US is home to the biggest companies in the world. Apple, Google's parent company Alphabet, Microsoft, Amazon, and Facebook are just a handful out of the abundance of big corporations that call the US their home. In fact, the top 8 richest companies in the world are based out of America. The unconquerable strength of the US dollar is one big determinant in cementing America's position at the top of the ladder. The United States is a $20 trillion economy. Manufacturing activity in the US is at a 13 year high. The service sector activity is at a 12 year high. The rule of law is extremely strong with little to no corruption. The unemployment rate is at 3.7% which is at a multi-decade low. The U.S. stock market is currently $34 trillion, compared to the rest of the world’s $44 trillion capitalization. The U.S. is 43% of world market value, but it houses only 17% of the world’s stocks. Indians are most definitely the biggest fans of America. Huge credit for this goes to successful NRIs like Sundar Pichai (CEO of Google), Satya Nadella (CEO of Microsoft) and Indira Nooyi (ex-CEO of Pepsi). These are the poster boys and girls of the Indian American success story. The open culture of the US is also extremely attractive for young Indians stuck in a 20th-century mindset dictated by Indian political parties. Young Indians today connect more with Netflix as compared to Indian TV shows. The next generation of Indians is especially attracted to America as discontentment with their own culture back home increases. The US offers unlimited opportunities for the growth of an individual. The society, on the whole, is free and fair and the salaries are far more attractive. The US boasts of a fantastic education system with a plethora of its institutions counted among the best in the world. Harvard, Stanford, MIT have an aura of excellence and meritocracy unmatched by quota ridden IITs and IIMs. Indians are great investors and the US is an investor's paradise. Entrepreneurs are celebrated as job creators in the US whereas all businessmen in India are considered thieves by the masses and political parties alike. Silicon Valley is home to thousands of Indian software engineers who are highly regarded and respected. The stories of million dollar salaries are what powers the American dream for many Indians. Moreover, making the US a second home is great from a family's perspective. The quality to cost ratio in terms of education for children is unmatched and the living standards are extremely superior to that of India. The United States of America also has one of the highest life expectancy rates in the world which is proof of the great quality of life. The United States of America is a country of immigrants so there is no reason why you would not want to migrate to this land of limitless opportunities. But beware, plenty of obstacles are in your way! The Trump regime has started tightening the noose around immigrants and workers from abroad. Getting an H-1B workers visa is extremely difficult with waiting of up to 50 years for Indians! And even if you do manage to get your hands on the much-revered H-1B visa, there is a pretty good chance that you still won't get to enjoy a seamless experience of " the American dream". A direct solution to this would be to opt for an EB-5 visa instead. EB-5 visas are comparatively lesser known but much easier to get if one has the right information and resources at hand. The EB-5 visa not only allows you to live an (uninterrupted) great life in the US but also gives a chance at attaining the big prize in record time- the Green Card. All this comes with added benefits of lower cost of education as compared to international students as well as the ability to work freely.